You know that moment when a thought crashes into your mind? Perhaps it is something you need to do. Maybe it is something you need to say to another person. Perhaps it is a piece of inspiration that will change the world. If you don’t write it down it will probably never happen. 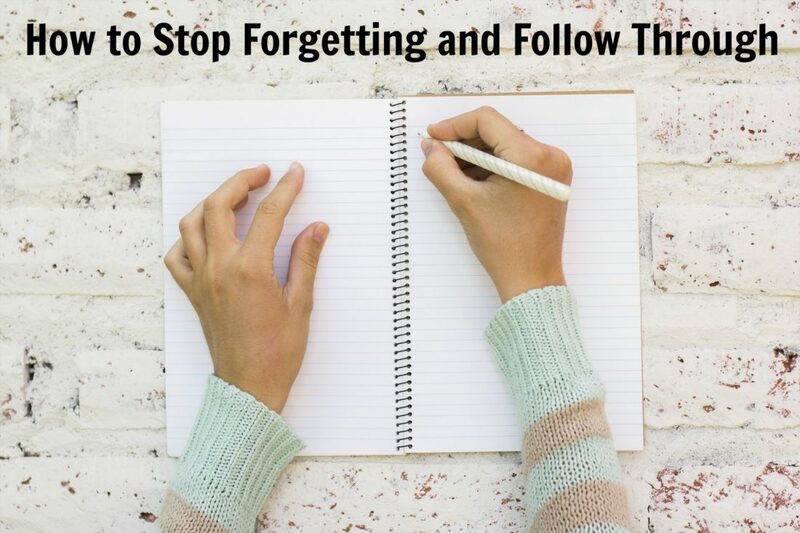 Simply writing something down makes it far more likely that you will do it and not forget it. What is in your head will be gone in 5 seconds. Your moment of inspiration won’t last. Good intentions don’t matter if you don’t ever follow through. Take 30 seconds and write it down. Write down something to apply after the sermon. Need to call and thank someone? Make a note of it. Before finishing work today, write down your three MIT’s (Most Important Tasks) to complete tomorrow. After finishing a retreat, vacation, or event, debrief it right away. Make a few notes concerning everything that went well and everything that you will change for next year. A year from now, you will remember little but what you wrote down right after the event will last. When you tell a person that you will do something, write a reminder for yourself. Have some goals you want to accomplish this year? Write them down. Want to remember to call your extended family members regularly? Put reminders on your calendar. If you found this post helpful, consider sharing below!